Prophet Muhammad (570–632) Founder of Islam. Important religious, political and military leader who helped to unite Arabia under Islam. Whilst in seclusion in a mountain cave, Muhammad reported receiving a series of revelations from God; these revelations form the verses of the Qu’ran, regarded by Muslims as the “Word of God” and around which the Islamic religion is based. Muhammad was born in 570 CE in the Arabian city of Mecca. Orphaned from an early age, he was brought up by his uncle Abu Talib. In his early life, he worked as a merchant and shepherd. Muhammad had spiritual inclinations and would spend time going to caves around Mount Hira to spend time in silence, prayer and retreat. It was during one of these retreats that he later revealed hearing the voice of Angel Jibreel (Gabriel). Muhammad shared these recitations with his close companions who later served as scribes, writing down the revelations. In the beginning, he attracted a relatively small number of followers, who were viewed with hostility by other Meccan tribes. In 622, Muhammad, with some of his followers, migrated to Medina. This migration is known as the Hijrah and marks the beginning of the Islamic calendar. In Medina, Muhammad united various tribes and with his growing political and religious strength was able to successfully fight the opposing tribes of Mecca. Eventually, Muhammad was able to lead 10,000 followers to the city of Mecca, where he was able to establish Islam within the city. During the remainder of his life, he was able to unite most of Arabia under the new religion of Islam, and also under a common political entity. From his first experiences in the cave, Muhammad reported receiving messages from God throughout his life. These messages form the Qu’ran – which to Muslims is the word of God. 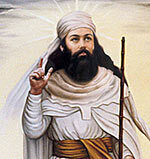 Muslims believe Muhammad to be the final prophet in a tradition stretching back to Moses, Abraham and Jesus. As well as the Qu’ran, Muslims study the Sira (Muhammad’s life) and traditions of the time (Sharia law). The essential message of the Qu’ran is that there is no God but Allah, and followers should lead their lives in submission to the will of Allah as described in the Qu’ran. Muhammad also believed religion was not just a private matter of conscience but something that affected the whole society. He instigated social reforms, which included the better treatment of all classes of people and the reduction of aristocratic privileges. The Qu’ran mentioning an alms tax. (zakat) which sought to reduce inequality in society. Muhammad insisted that new tribes who wished to ally with himself should apply this tax. Citation: Pettinger, Tejvan. 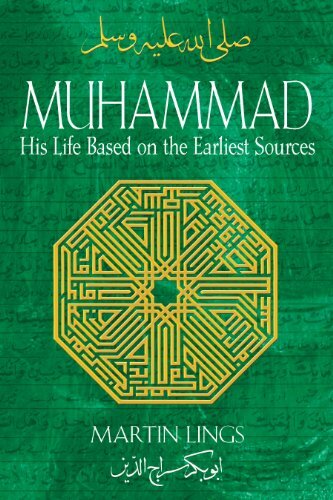 “Biography of Muhammad”, Oxford, www.biographyonline.net, 23/05/2014. Updated 22 June 2017. Muslims – Famous Muslims. Including the Prophet Muhammad, Saladin, Rumi, Muhammad Ali Jinnah, Muhammad Ali and Malala Yousafzai. 100 most influential people – A list of 100 most influential people as chosen by Michael H. Hast, from his book 100 most influential people in the world. Includes; Muhammad, Jesus Christ, Lord Buddha, Confucius, St Paul and Johann Gutenberg. Famous Religious leaders and founders – Key people who helped to found different religions and spiritual movements. Including Moses, Sri Krishna, Buddha, Jesus Christ, Muhammad and Guru Nanak.